Pro-Ma Fuel and Oil Additives know the risks involved with using Ethanol, oxygenated fuel, without adding Pro-Ma PT5/GT5 Petrol/Gasoline Treatments and DT5 Diesel Treatments to it. 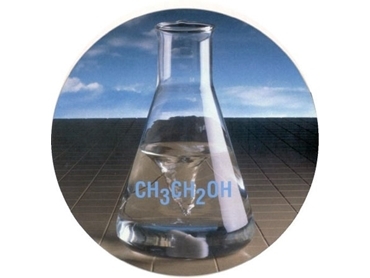 Ethanol is a colourless, volatile, flammable alcohol, synthetised or derived by fermentation of sugars and starches. It is widely used, pure or denatured, as a solvent in drugs, cleaning solutions, explosives, and as an intoxicating beverage. It is hydrocarbon compound but differs from normal petrol/gasoline due to its additional oxygen content. Ethanol as a fuel has been used in the United States and Canada, where it has been known as oxygenated fuel, gasohol and diesohol for more than 20 years. Using Ethanol as a vehicular fuel without first treating it with Pro-Ma PT5/GT5 Petrol/Gasoline Treatments and DT5 Diesel Treatments has some disadvantages and risks attached to it. Ethanol is dearer to produce than petrol/gasoline or diesel, consequently the retail price is normally dearer. Furthermore, it is a very volatile liquid, so evaporation loss is high. Ethanol is highly hygroscopic, so it readily absorbs moisture from the atmosphere. It can absorb up to 15% if its own volume in absorbed water. This can cause rust and corrosion in the fuel system, not only in ferrous metals but even more so with alloys, carburettors and fuel pumps. Most people who operate racing cars on alcohol type fuels have to drain the fuel system after each day's racing to prevent fuel system corrosion developing. Carburettors can ice up under low ambient temperature and humidity conditions due to the Ethanol's high evaporation rate. Rubber and neoprene seals and diaphragms are more likely to dissolve in Ethanol than in petrol/gasoline or diesel fuels. Ethanol burns hotter and drier than petrol, so cylinder lubrications become more important. The fuel can stratify or separate into layers more readily, particularly during periods of storage. There is a slight loss of power and fuel economy when Ethanol fuels are used in comparison with normal hydrocarbon fuels. When considering the usage of Ethanol fuel the percentage of Ethanol blend in the fuel is critical, problems are expected if the percentage of Ethanol in the fuel exceeds 10% by volume. A few years ago, the Federal Department of the Environment, Sports and Territories commissioned a series of tests on buses using a 15% blend of Ethanol containing 5% water, 84.5% diesel and 0.5% emulsifier. The results were compared with buses using untreated diesel fuel. Improving fuel combustion whilst reducing emissions.